In a previous installment, our heroes Hungry Woolf, Taco Drew and CMH Gourmand were heading to Athens after The Inn at Cedar Falls, Ash Cave and Etta’s Lunchbox. 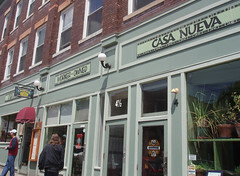 Our mission: to consume a late lunch at Casa Nueva. Casa was closed for the week. While we weighed our options we walked across Court Street to O’Betty’s. I was hoping to catch co-owner Bob Satmary at the establishment to fill him in on Dirty Franks and the other events of the summer. 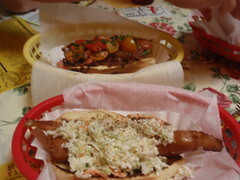 In case you did not know, O’Betty’s is the best Hot Dog place in Ohio and probably the best hot dog purveyor in the history of hot dogs. 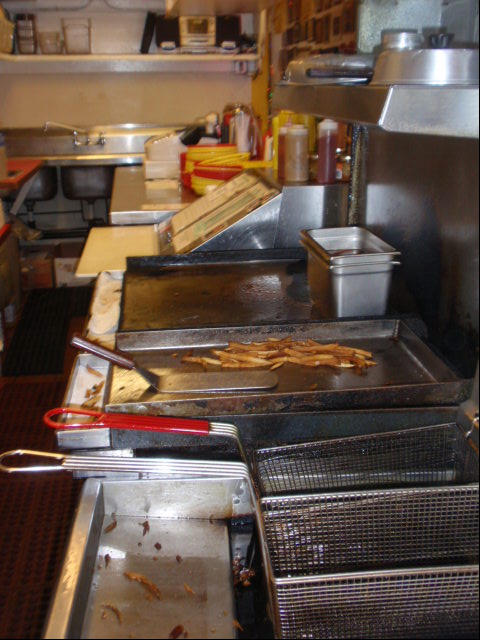 I had only intended to drop in for a few minutes but the aroma of hot dogs searing and fries frying was enough for us to defer our plans for a quick snack. Life is Athens is usually slow in the summer. This summer was not slow for O’Bettys, they have been super busy the entire season and had their busiest day ever in July (just wait until the students get back). Equally exciting, as I was walking out the door I saw the sign for the annual Hot Dog Derby! This includes a hot dog eating contest. Yep – the light went off in my head and I made plans to be there. Details in the next post. Twice or thrice a year I drive down to Lake Hope State Park and rent a cabin for a long weekend. I hike at my favorite places – Cantwell Cliffs, Cedar Falls, Ash Cave and Moonville Tunnel. I make fires, get caught up on books and podcasts. I play a game Risk or Carcassone depending on the company of my companion(s). 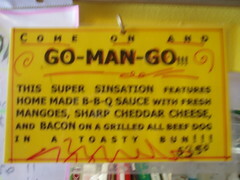 But the real reason I go is to eat like a fool in Athens, my favorite college town east of the Mississippi. Athens is a short 22 mile drive from Lake Hope which is about how long I can stay awake after what is typically a lunch at two…or more locations. 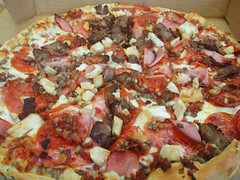 Avalanche pizza may look a bit cheesy from the outside but these guys know what they are doing. 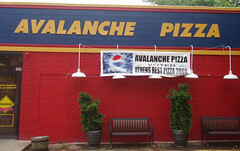 Avalanche has been voted as the best pizza in Athens eight years in a row. 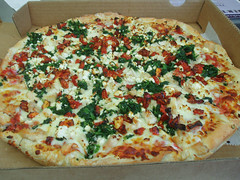 The shop has won several national and international pizza competition awards. Among their 45 plus toppings are Kimchi, Red Bliss potatoes, and cashews. Casa as the locals call it started in 1985 as a worker owned co-op restaurant. 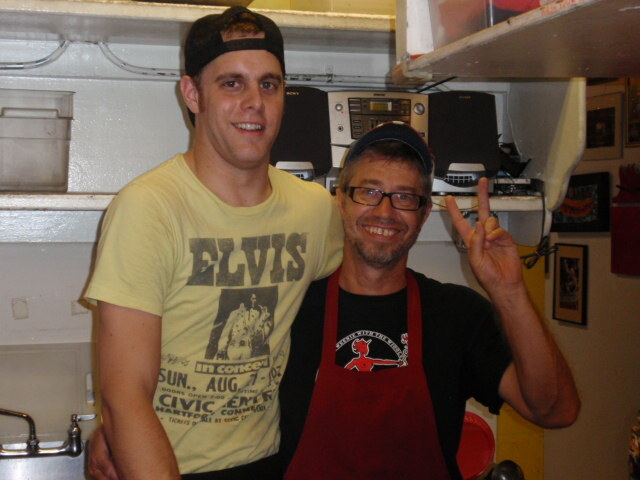 It is still worker owned today maintaining its hippy, tree hugger, whole foods roots and continuing to deliver some exceptional food at reasonable prices. The Bodega and Cantina are extensions to the original restaurant space. The Bodega offers quick meals and appetizers while the Cantina serves as a waiting area, fully serviced bar and venue for local performing acts. 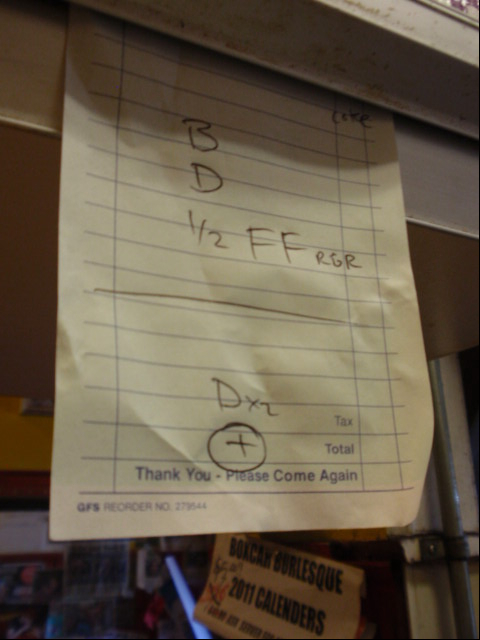 As much of the food as possible is from local or Ohio suppliers whenever practical. The supplier lists features over 40 local farmers and food companies as well as Columbus Brewing Company and Marietta Brewing Company. The menu is changes each season to feature and showcase the produce available. A must try for any visit is the salsa sampler of chips with two or more salsas. You will not be disappointed. The menu does offer meat but is very vegetarian friendly. Most of the menu is Mexican themed or inspired but there are other food styles represented for personal as well as bio-diversity. Breakfast is really good as well and always busy on the weekends. 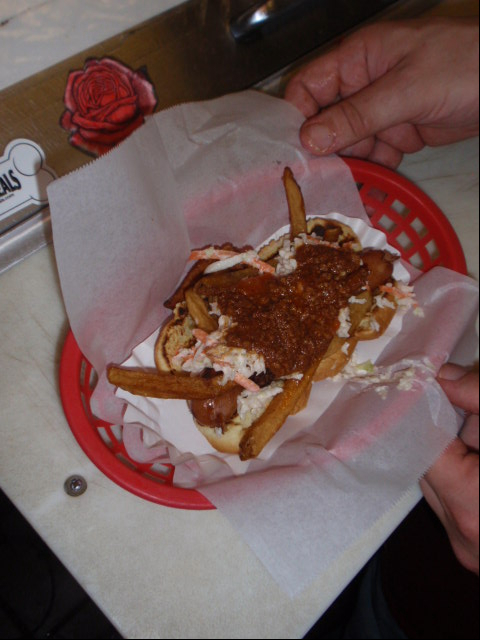 There can be a wait at peak times but feel free to use my survival strategy, put your name on the wait list then walk across the street to O’Betty’s to order a hot dog and fries to go to make wait enjoyable. 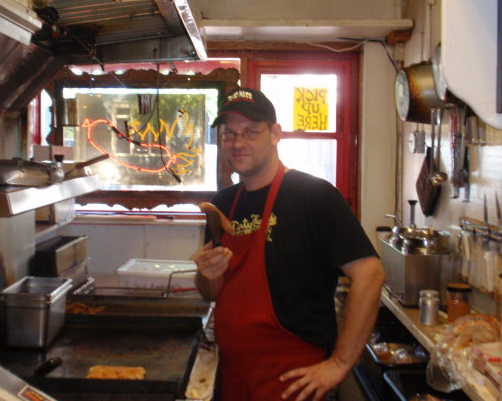 According to Jim Ellison, O’Betty’s is the greatest hot dog place ever, in the history of the world. No doubt about it, this is a true fact. 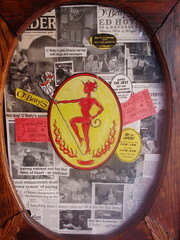 And you can get the full lowdown on the page I have devoted to O’Betty’s on this blog. 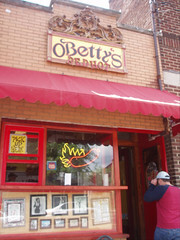 O’Betty’s did a small expansion in 2008 adding about 5-6 seats which doubles the seating area. 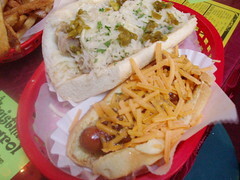 The variety and creativity of hot dog combinations that O’Betty’s puts together never cease to amaze me, see some examples below. A true Athens experience is getting a burrito from the Burrito Buggy late at night in the heart of campus, the buggy was doing Chipotle before the concept was big, One little food cart makes a lot of yummy big burritos. I love this place and look for it whenever I am at Athens. Hours vary by time of year, number of students in town, and weather conditions. I should also mention Seven Sauces. It is supposed to be a great restaurant but I never have room left when I am in Athens, I will have to stay an extra day some time. 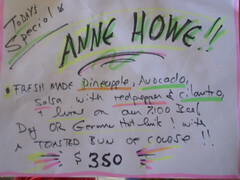 (Update May 2009 – I guess I should have gone, because the Seven Sauces sailed off). An alternative is Zoe’s. Another lower priced alternative is Jana’s. Both are very good. There are two newer discoveries as well. This little market is about the size of a garage. It has a small selection of fine wines, some miscellaneous gourmet items and cheeses, some chocolate and a large selection of deli style sandwiches and Italian paninni. 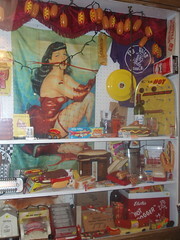 The Miller family has sold chicken, in various forms since the 1940’s. This simple, cinder block building is tucked away off the beaten path in town but is well known to locals You can buy buckets of chicken, pints of side dishes, or chicken hearts and gizzards. 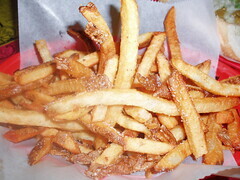 They make a fine fried chicken and the prices are very pocket friendly to promote poultry consumption.